A common argument against strength training is bulking up: some people want to be strong but not buff, and thus shy away from the free weights and machines. However, strength training isn’t just about lifting weights; jumping jacks, medicine ball exercise, planks, pushups and plyometric exercises are just as effective. Strength training benefits are seen in every aspect of your life, making it necessary for every person wishing to live a healthy life now and in the future. Not only do you scorch calories during your strength training workout, but you continue to burn them long after, too. It takes more calories to build and maintain muscle mass versus fat, so the more muscle you create the more calories you’ll burn outside the gym. Too many healthy people neglect certain muscles, and this often leads to injury. Because each part of the body works together with every movement, you should be training all areas of your body. For example, a weak lower body can lead to hip and joint problems for runners because the body relies on muscles that aren’t strong enough. Take a whole-body approach to your strength training, and spend time on each muscle group, including calves, quads, hamstrings, gluteals, abdominals, back, triceps, and biceps. Focus on a different one each day to be sure you’re improving all over. For women, osteoporosis is especially dangerous. After menopause, women can lose up to 1-2% of bone mass a year. 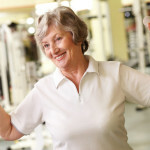 However, strength training increases bone density, reducing the risk of fractures and osteoporosis. Start a strength training routine now, which will improve your health later in life. 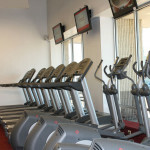 Whether you run, ride the elliptical, or hike, strength training is necessary for a healthy body. Whether you want to use weights or add some basic moves into your routine, like jumping jacks, your body will thank you now and later. 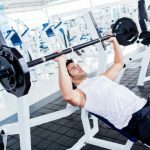 Lifting Weights vs Cardio – Which One is a Better Form of Exercise?